FOCUSED...... Laura Pannack | Film's not dead. 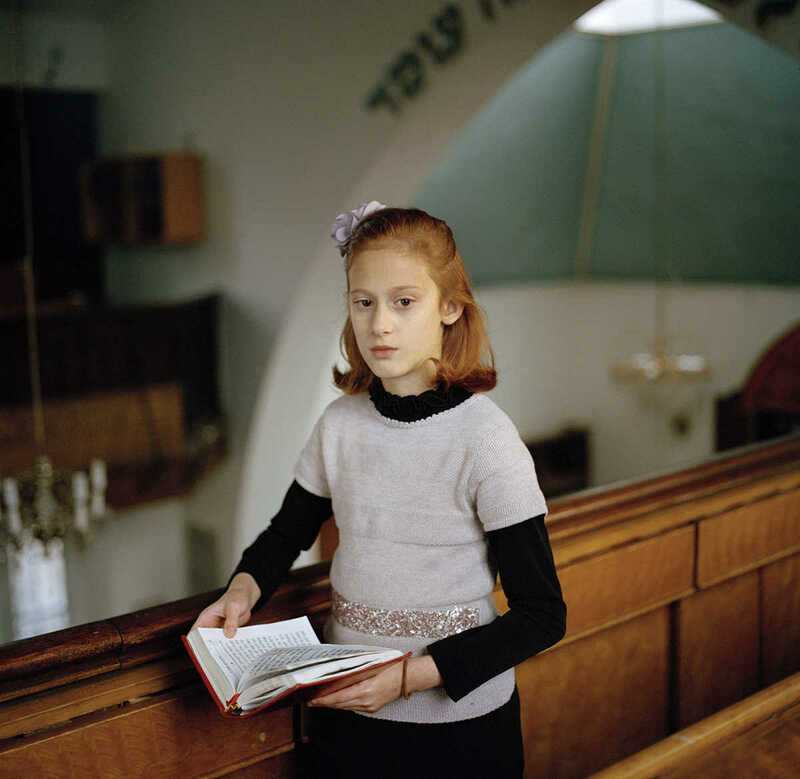 If you went to the Taylor Wessing Portrait Prize exhibition last year at the National Portrait Gallery you would have certainly seen the striking portrait of Chayla at Shul, a young Hassidic Jewish girl taken by Laura Pannack. This image earned her the John Kobal New Work Award from National Portrait Gallery, and in our opinion it was very well deserved. 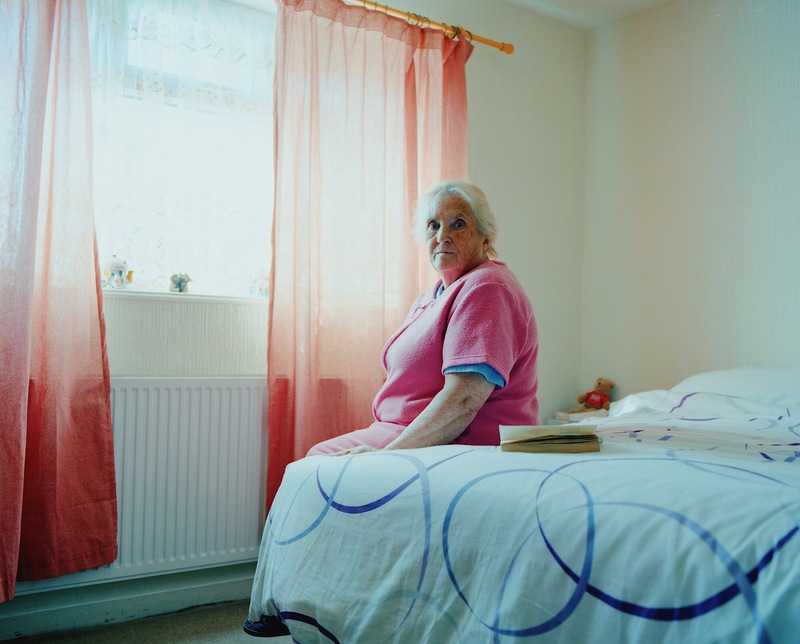 Laura Pannack’s photographs have been recognised by some of the World’s biggest photographic competitions and institutions, having her work extensively exhibited and published both in the UK and internationally. This star studded list includes The NPG, The Houses of Parliament, Somerset House, and the Royal Festival Hall. 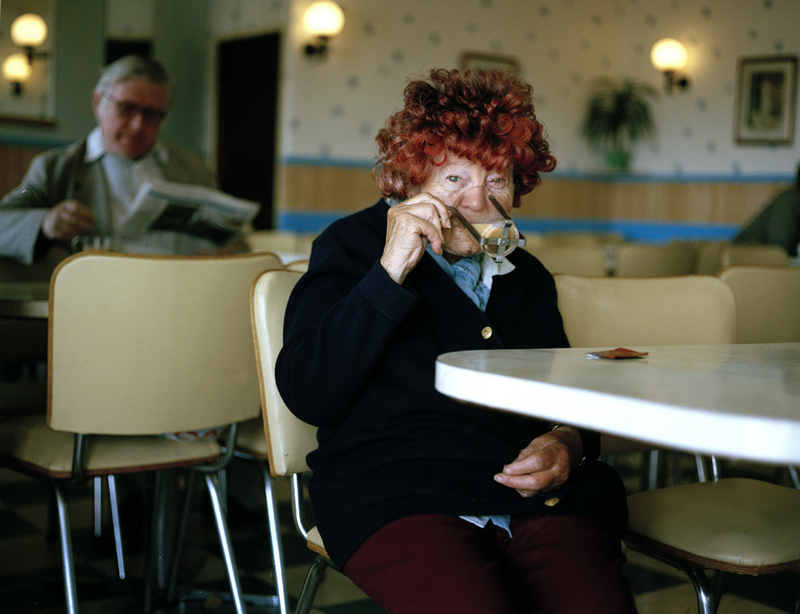 We were lucky enough to catch up with her, in Clapton, London to discuss her work before she left for Amsterdam to Judge this years World Press Photo Awards. 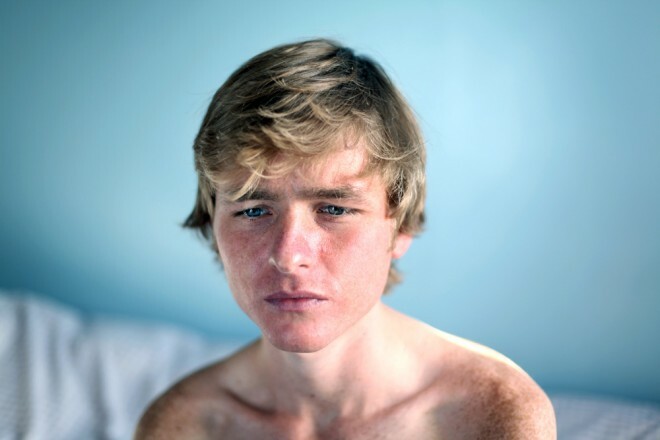 Film’s Not Dead: First and foremost, congratulations on being invited to judge this years World Press Photo awards, and also for the recent John Kobal Award for New work from the National Portrait Gallery. How did you start taking pictures and why do you continue to use film? I actually started painting before I did photography, and I’ve grown up with photography, as my dads a photographer. So from a very young age I was in the darkroom. I remember watching Tom and Jerry on the television with the Red filter and tipping the trays and hanging out in the studio drinking cans of coke, but I didn’t actually pick up the camera until I had studied painting for a bit and wanted to explore which medium I wanted to try out next. I did a foundation in fine art and when I was 21 I shot my first roll of black and white film which I processed in the darkroom as part as the introduction to photography. But I didn’t really make a connection with it then while growing up, I just thought, wow this is incredible and I really like this and began to see how painting could be transformed into photography, and how I can capture a moment and still paint it, but just with light and very quickly. I am a very impatient person, so photography came across as a much more immediate art form. And then as I finished studying the digital age came in and fortunately for me it hit after I studied at the Brighton University, and I had already learned how to colour print. I had been shooting 35 mm Black and White mostly and then starting shooting on colour, and then decided to start shooting on medium format, I was shooting on a Bronica 645. Film’s Not Dead: Do you work with film for any of your assignments that require fast turnaround? How did you work on your first assignment? I was in my third year when I had my first assignment, it was for the Saturday Telegraph. I didn’t own a digital camera and didn’t have an interest in digital photography, so I started shooting on analogue and I did that for an about a year. I shot on analogue for editorials and of course I lost loads of money, but it was my natural way of working and it was much easier to edit as well, I had the contact sheets in-front of me and found it very easy to quickly select the images that I wanted and spot the duds. Also I just had to scan the contact sheets in and send it to the editors, so there was no shying away from any mistakes that might have happened, or if I had got my exposures wrong or if I had taken some really bad pictures, then they were still all on there, so it was a very vulnerable position. Then after a year or two the digital age quickly took over and what I realised was that the painterly effect that I was searching for was only attainable on film. And it must be 8 years since then, and I think the grain and the quality film still has it for me. I still shoot digital for my commercial work but I really relish the fact that analogue completely changes the way that I work. The process is much more intimate and its much more of a physical process, and the reaction to shooting in analogue is different as well. I now shoot on Hasselblad and I have started using some large format as well. My interest in learning about analogue film has only grown, since I have left university. Now I am exploring lots of different cameras and collecting cameras as well as exploring processes that I don’t know anything about. 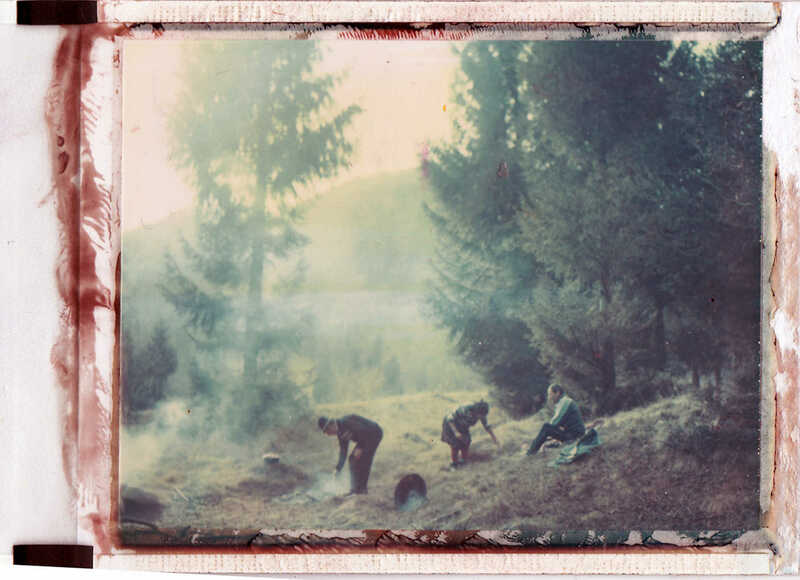 Film’s Not Dead: Please tell us about this project that you are working on and about your choice of using film expired the year you were born? The project that I am doing at the moment is called ‘Youth without Age and Life without Death’, and its set in Romania and based on a Romanian folktale, and I wanted to reflect that this tale, a large part of it, is about death, and exploration and neglect and deterioration, and I wanted to mirror this in the film that I was using, because there was no question that I was going to shoot it on analogue. I purchased large amounts of film that have expired around the year I was born. Working with this kind of film is unpredictable anyways- I just came back from a trip and 30 rolls of my film was completely damaged due to the fact that I had bought it on the internet and it had been through several x-ray machines, so that risk that you get with film is always quite high, it might not come out, it might be fogged, your exposure might be off, but working with expired film increases those risks so much more, because its like any second hand object – you don’t know who the previous owners were, you don’t know if they have stored it in the fridge, you don’t know if its exposed already, theres so many different elements, to working with such an unpredictable material, which I really enjoy. I love the fact that you can find beauty in those mistakes, and you can see other peoples influences, and its almost a collaboration between yourself and the journey the film has through up until that point, but it also requires lots of patience. I am also shooting on polaroid, which unfortunately is dying, the film that I am working with is all expired, its no longer in stock and I have to ship it over the internet. Unfortunately film is expensive, but I do believe that anything that is a luxury, or is of great quality you have to kinda make sacrifices for, and I quite like the fact that I have to spend money on my film and be very precious with it and be very careful it because it makes me consider the shots before I take them, and I know its bit of a cliche but that mentality stays with me as a psychological part of the process. Especially with Polaroid, because it feels like you can’t go to the shop and buy it, once you have run out of film thats it. This is terrifying but it can also make you incredibly self judgemental. You feel guilt for shooting images that don’t work because you’ve wasted this film. I come back incredibly disappointed and heartbroken it forces me to change my process, much more than I do coming back shooting digital. I don’t know why that is, and I know its not the financial costs, I think its the respect that I have for film and I want to do it justice. It’s quite easy to hide behind your images in the digital era, whereas when you are shooting analogue, everything is in that frame, especially with polaroid, if you leave something in you have to leave something in for a reason. When you are shooting with film you’ve just got this small box to play with, and its quite nice to have that discipline of knowing that all you shoot will be on that contact sheet, you can’t hide anything and I print all of my work, cropping things out isn’t something that I really like to do. I prefer that organic process and I like the idea that there is a continuum of shooting with something that is very analogue. It’s very raw, and in a way craft like and that process is passed on to the printing, and the negative that is a physical object it’s not a digital pixel. That’s important to me, I like to be able to hold things, I like things to be tangible. 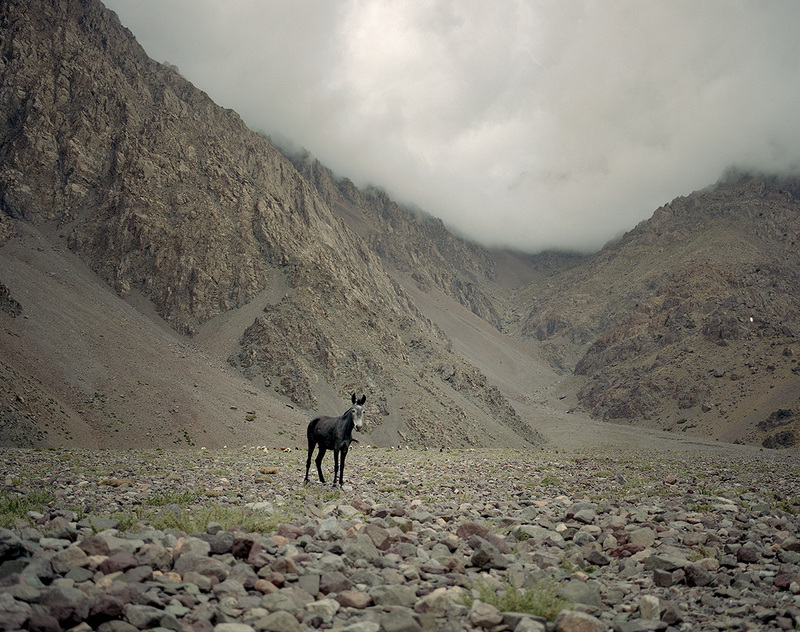 I am really crap at online shopping, I really like walking into shops and feeling things and knowing if they’re right, and this Romanian Project is a nice kind of way to explore the idea of Exploration..and explore the idea of Death, and the meaning of things. The meaning and the value that I place on film. I hope that I can reflect that within the work that I create. Film’s Not Dead: You probably get asked this a lot but what cameras do you work with? Lots of people ask what camera I use, a lot of people ask what film I use and I totally get that because when I see work of many photographers, I am really curious about how they get the look that they get or what process they go through. I learned really quickly and my mum always said to me, that the camera is just a box, their great toys but the best advice I can give to anyone is if they are looking to buy a camera is to go into a shop feel it, hold it, and look through it. I think that, you know people always say that you should definitely get a Mamiya 7, its a rangefinder camera, and everyone I know absolutely adores it. They say its perfect when you are travelling, there is no waste level finder, and you know its a nice format – medium format, but as soon as I went into a shop and held one up and as soon as I rented one, I knew it wasn’t the camera for me. I’ve tried since and I’ll never completely turn my back on that camera or any particular camera for that matter, but I think the relationship that you have with your camera is very instinctive, it’s like walking into a house and knowing you want to buy it. It’s very much a kind of personal thing. 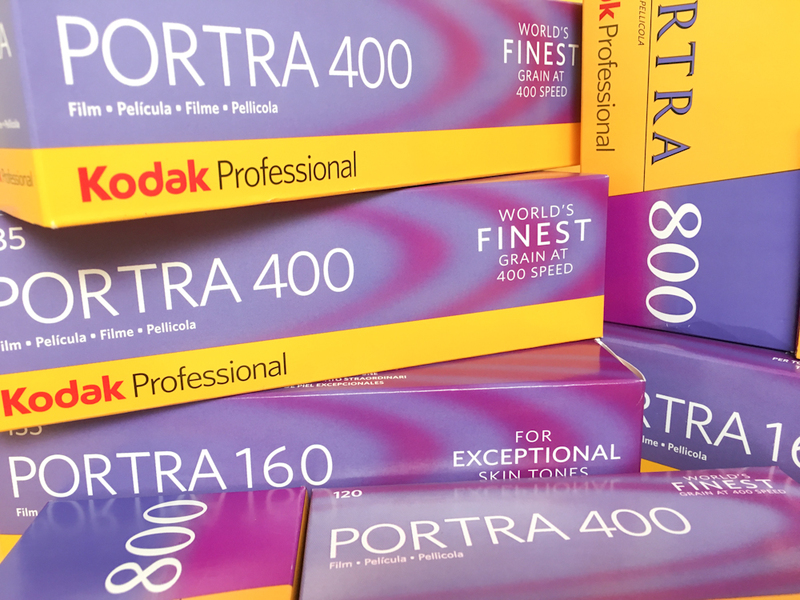 Film’s Not Dead: What formats of film do you work with? At the moment I am really looking at using large format, it’s something I really wanted to do and I think that time has probably come now because before it wasn’t right for the work that I was doing. Some of my work is documentary based, and it was very much about capturing a moment, whereas the shots that I am doing in this project are very much constructed, they are tableau images, there is lots of time involved, there are more people involved, which helps because a larger format is difficult to manage with one person, and also I think it suits the dynamic of the way that I am working for this. I am also shooting at the moment on a Hasselblad, and I really like that square format, I bought it about 5 years ago, and it took me couple of years shooting with it just get used to it, because before I was using a Bronica 645, and I was holding it closer to the face, but I do think its just a box. Film’s Not Dead: What would be an important factor for you to start on a personal project? Well there’s quite a few things, and one of them, is do I care..and does it interest me and if so why. The second thing is can people relate to it. There are quite a few projects that I have done that are about my personal life – my family or my relationships, but actually they are not the kind of projects that I actually want to pursue or dedicating large amounts of time and research to because they are more therapeutic not really relevant to anyone else. With my work what I want to do is raise questions and start conversations to hopefully trigger peoples imaginations. Film’s Not Dead: In any of the projects that you’ve done have you had more success with the Subject ( eg. Hassidic Jewish Women, or Young British Naturists), because you used film over digital ? I think film, as I said has definitely changes the process and the dynamics in the way that I’m working and also alters the relationship that I have with people. One thing that it will always do is, I think cameras in general whether its analogue or digital, there will always be a nice relationship in the sense that you can share and you can teach people to how to use a camera, but I think that the flexibility and the potential to do that is much greater with analogue because I think less people have an understanding of it, and its much more of a craft. Analogue intrigues people more, and I believe they are more curious about a machine that they don’t understand especially larger formats. The main reason I shoot analogue is that it’s more silent and slower I like to take that time to engage with somebody and consider my shot, and when I shooting digital it’s just too tempting to take a picture because its too easy and its free. If somebody said to me tomorrow that you have to completely give up film and you have to shoot digital forever, it would really break my heart, and I would really have to re-question, If I wanted to be a photographer ,and if I did want to be a photographer how I was going to use that way of working and that process, to keep my passion alive.. which is quite a heavy handed thing to place on a process but I guess it’s because I have always learned photography in an analogue setting and always loved going into the darkroom, and that has been the drawing point that brought me into photography.